An escalating “trap war” taking place in the coastal waters of Hancock County has cost lobstermen hundreds of thousands of dollars in lost gear and is prompting state officials to offer a reward for information. ELLSWORTH, Maine — An escalating “trap war” taking place in the coastal waters of Hancock County has cost lobstermen hundreds of thousands of dollars in lost gear and is prompting state officials to authorize a reward for information. The territorial dispute, in which fishermen have cut surface buoys from each others’ traps, has been heated since early summer, according to the Maine Department of Marine Resources. 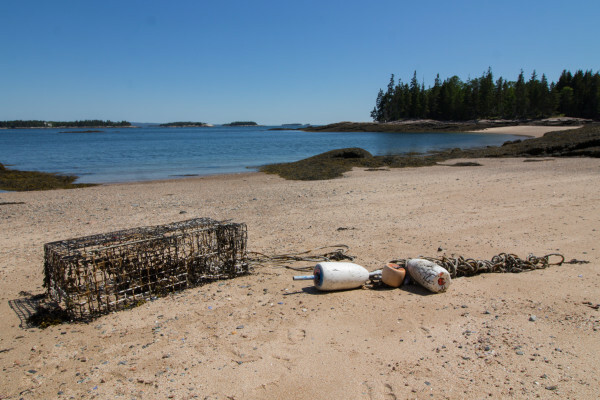 The cutting has been centered on the boundary line between lobster fishing zones B and C, which runs through Blue Hill Bay from Newbury Neck in Surry to Swan’s Island. In cooperation with DMR, Operation Game Thief is offering $15,000 to anyone who offers Marine Patrol information that helps with the investigation. DMR spokesman Jeff Nichols said Monday that no one has been charged so far as a result of the investigation into the trap-cutting spree but that Marine Patrol believes as many as 15 people could be involved. He declined to release more specifics about the alleged conflict, saying doing so could inflame an already volatile situation. Nichols added that tampering with fishing gear is a civil violation that is punishable by fines of up to $500 per incident and can result in multiyear fishing license suspensions. The loss of gear in the ocean not only has an economic impact on affected fishermen’s bottom line, but it has an environmental impact as well because the traps degrade over time but continue to catch and trap marine life. Fishermen are allowed to obtain replacement tags from DMR for their “ghost” gear, but retrieving the sunken traps takes time and effort — and often luck — by dragging a hook along the bottom in the hopes of snagging one or more traps. Operation Game Thief is a private, nonprofit organization that encourages citizen cooperation in investigations into significant hunting and fishing violations in Maine. People with information can call the Operation Game Thief hotline at 800-253-7887 (800-ALERT-US) or, if dialing from out of Maine, can call 207-287-6057. Tips also can be submitted online at maineogt.org/report.php. Information can be submitted anonymously by phone or online, according to state officials. Correction: A previous version of this story requires correction. Operation Game Thief is offering the reward money, not the Maine Department of Marine Resources.